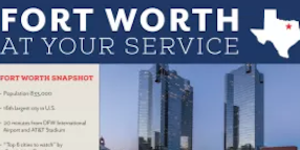 The Visit Fort Worth offers many useful ways to support your meeting that can save you time and money, before and during your event. Our Convention Services team can help you promote the City of Cowboys and Culture and provide materials and tools that boost attendance. We are a powerful resource for accessing local resources and vendors, from transportation services to unique event ideas. 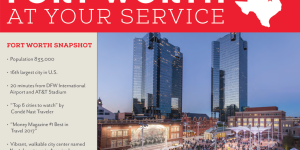 Let our team help you with referrals, ideas, and tools to make your event in Fort Worth a success! Show Your Badge and SAVE!